Affordably priced 3/2/2 featuring concrete block construction, newer architectural shingle roof, seamless gutters, 2012 AC, double pane windows, laminate floors, vaulted ceilings, split plan, and privacy fenced backyard. This home is move-in ready and priced to sell. The home next door is also for sale at 6523 Banyan and would be ideal for a family that would like to have elderly parents close by, but not living in the same home. 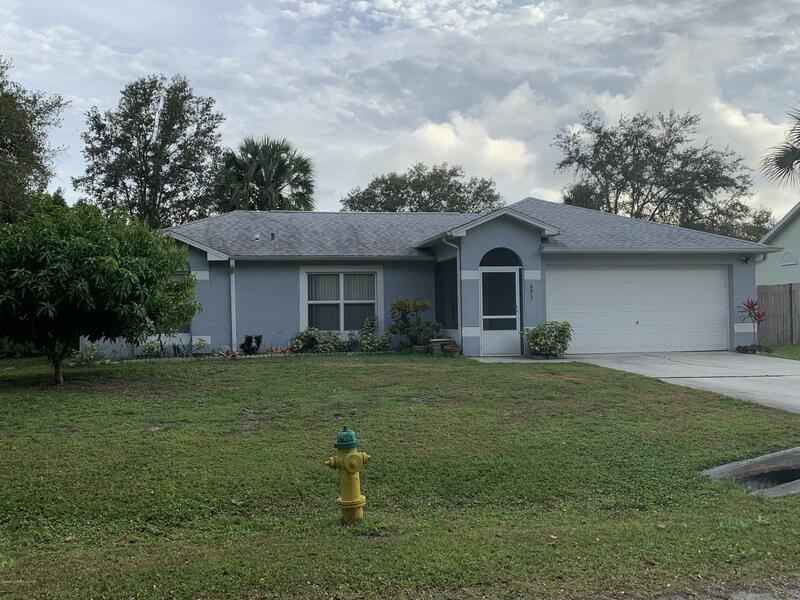 Great location near Enterprise Elementary and Space Coast Junior Senior High. Make an appointment to see today!